Different devices need to apply different conditions of environment. Our products have a high load carrying capacity, minimal maintenance, quake-resistant ability, easy installation, long life ,etc. 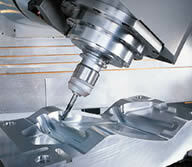 Decades of industry experience, high reliability and long-life bearing are our basic standards. 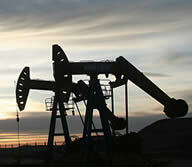 Improve the additional value of your products and provide energy-saving solutions. Running accuracy of the bearings reaches the world advanced level. 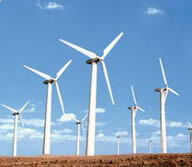 We are for wind bearing product design and production. We cooperate closely with designers and manufacturers of wind power, and have provided quality solutions to customers of wind power industry. 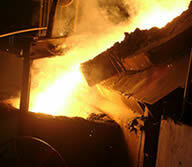 We have improved rolling bearings for steel industry. This is a challenge for us, but we are now into perfection.Our bearings have had a good performance under harsh working conditions. After years of cooperation with paper industry and machinery manufacturers, we have a paper-making machinery bearing product expertise. 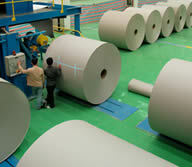 Many paper mills already benefit from the solutions we provide and significantly improving the efficiency of industry. 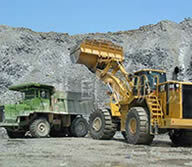 The bearings often endure high load capacity. It should bear high temperature resistant to the cold, and can withstand the erosion of sand-dust storms or corrosive salt water, sometimes considered security problems during the earthquake. Our innovative technology can meet the demands in these areas. Good load bearing performance, high security operation, long life and even withstand the tests of harsh environment. Our company provides kinds of bearings which are made in China. Presently, we have our own brand——OKB. We can offer bearings for OEM and aftermarket application. 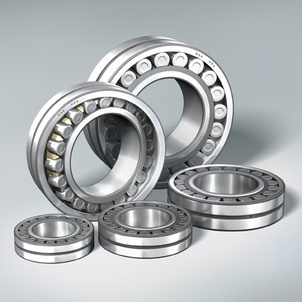 Furthermore,we agents world-famous bearing from Japan,Europe,America and other countries professionally.We supply world-renowned bearings brands : FAG, NSK, SKF, NTN, TIMKEN, IKO, INA, KOYO, NACHI,etc.The bearings include radial bearings, thrust bearings and combination bearings. Deep groove ball bearing can mainly endure radial load, and it can also endure some measurable axial load. When the radial play of bearings becomes larger, it will have the performance of angular contact bearings withstanding the increasing axial load. This kind of bearing has little fraction coefficient, high margin rotate speed and different size and forms. It is simple in structure , easy in use and installation. 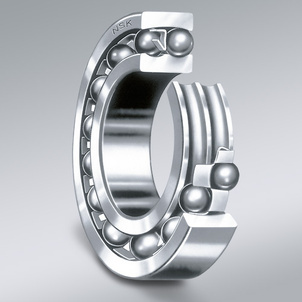 The single row deep groove ball bearing also has sealed design and can no more lubrication and maintenance. 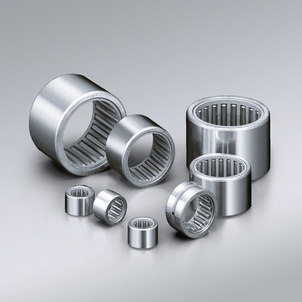 Cylindrical roller bearing is separable bearing and can easily install and remove. It can mainly endure radial load and suitable for high speed. Cylindrical roller bearing can be classified as NU, NJ, NUP, N, NF, NNU and NN bearings. The inner bearing and outer bearing can move to axis direction, so it may used for free end bearing.Cylindrical roller bearing are general use of steel stamping retainer or copper alloy retainer. Also some of them are retainer of forming polyamide. Needle roller bearing has small cross section still bearing the load with a higher capacity, it is particularly applicable to the radial space is limited occasions. Since its very high lubricant capacity, light weight and rigidity, it can be allowed to use in severe situation:high rotational speed,impact load and etc. 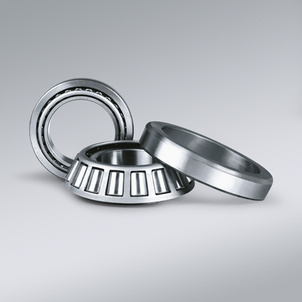 Needle roller bearings do a well performance in high speed but lower error. It is very extensive use. 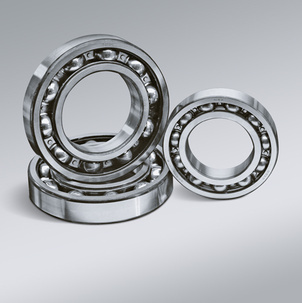 Self-aligning ball bearing has two structures of bore cylindrical and capered, the material that made into the rearing are steel sheet, synthetic resin and so on. The feature is spherical outer ring raceway and automatic aligning, which can make up the error.But it shall not exceed 3 degree of the relative gradient. 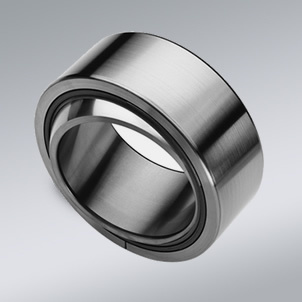 Its lowest friction among the rolling bearings leads a smaller temperature rise even at high speed. 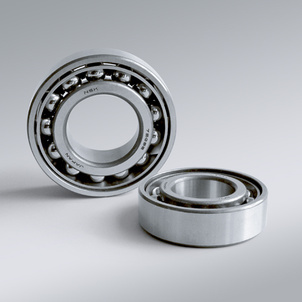 Angular contact ball bearing can withstand radial load and axial load simultaneously, as well as the pure axle loads. They have higher limit speed. High precision and high speed bearings usually take 15 degrees contact Angle. The contact angle decide the capacity of axial load. Retainers are made of brass, synthetic resins or others subject to individual bearing features and application conditions. Tapered roller bearing comprised by inner ring, roller , retainer and outer ring, which can be installed separately. This kind of bearing can support heavy radial load and axial load. Due to tapered roller bearing can only transfer one-way axial load, we need to install a symmetric tapered roller bearing to transfer the opposite direction axial load. This kind of bearing include single row , double-row and four-row tapered roller bearing according to the column number of roller. The clearance of single row tapered roller bearing need a adjustment during installation. And the clearance of double-row and four-row tapered roller bearing has been adjusted according to the users' requirement and need not to adjust. Spherical roller bearings has two columns of roller, mainly endure radial load and also withstand any direction of axial load at the same time. This kind of bearing own a high capacity of radial load especially suitable for heavy load or vibration , but can not bear pure axial load . 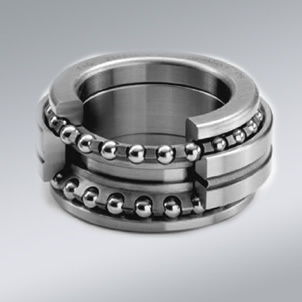 The outer ring groove of this bearing is spherical, so it's favorable in regulating the heart. 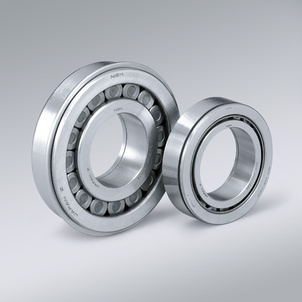 Spherical roller bearings and self-aligning ball bearing are the same at the structure theory and character, so they can substitute each other in the permission of load capacity and speed limit. Thrust ball bearing is made up of housing ring, axis ring and steel ball maintains module. 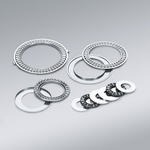 Which is match for axis is called axis ring, which is match for shell is called housing ring. According to the condition of accepting force, there are one-way thrust ball bearing and double-way thrust ball bearing. One-way thrust ball bearing can endure one-way axial load, and double-way thrust ball bearing can be subject to bi-directional load. Thrust ball bearing can not stand the radial load, the extreme rotation speed is very low. Thrust roller bearing are generally used to support combined load mainly consisting of axial load and the radial load must not exceed 55% of axial load. This kind of bearing has a low friction factor, high rotational speed and aligning function. Double direction angular contact thrust bearing is mainly applied on machine tools principal axis, while single direction angular contact thrust bearing is applied to support lead screw. Single direction angular contact thrust bearing belong to precision bearings. 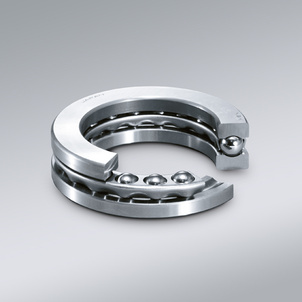 This type of bearing is mainly applied on high-speed rotating occasions and can be used a single or in pairs. The tolerance grade of double direction angular contact thrust bearing is special precision level. 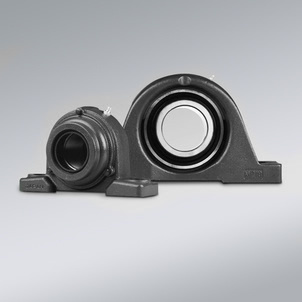 Insert bearing with housing is a bearing unit that combine the rolling bearing and bearing seating together. Most insert bearings make the outer diameter a sphere. The structure varies in form and easy in installation. Also this kind of bearing has good versatility and interchangeability. It can easily work in severe environment. Spherical plain bearing is made up by inner ring and outer ring. The inner ring has a spherical outside surface and the outer ring has inner spherical surface. It can support large load including radial load, axial load or combination load according to the different types and structures. Spherical plain bearing is general used for lower speed swinging motion. Since the sliding surface is spherical , it also can do tilt movement in certain angle range. Spherical plain bearing resists corrosion and abrasion. And also it has the character of self-aligning, lubrication and self-aligning. It can work well even if in dislocated installation.